So I continue on my search for the best gluten-free products out there, and I’m trying new things every week. 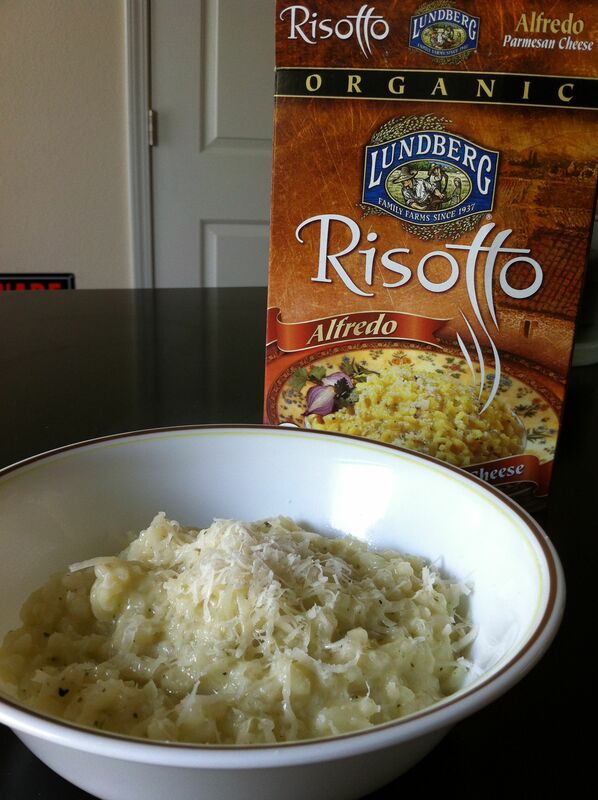 I recently tried this Lundberg Alfredo Risotto, found in the organic section of your grocery store. This Risotto didn’t taste bad. I added some freshly grated parmesan to top it, but it still tasted like it came out of a box. It was creamy and flavorful, but still had that lingering cardboardy/out of the box taste. Perhaps that is a horrible way to explain it, but that’s the only thing I could think of! I would buy this product again, but I would use it as part of a dish rather than an entire dish. I think adding some of my own flavoring and other components would help make this Risotto taste even better!